OMG how did you put up with this? Oh yeah, I was there once upon a time. Btw, what Watch Dog committee?! There hasn’t been one in years…. What a Mafia is the Church today! 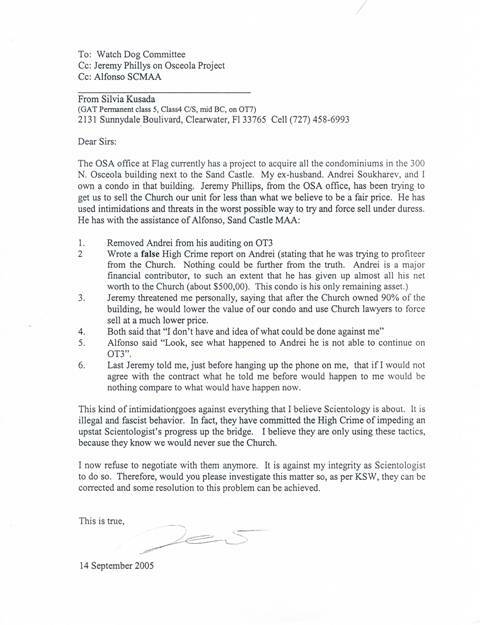 the way this letter is phased you have a good case for suing for criminal intimidation I would say. of course it is likely academic by now but just shows how far down the tone scale from the original philosophy the church has sunk.